Find the Right Pillow | Valet. Not all pillows are created equal. Choose the right one for a great night's sleep. Is there anything more important to your overall health and well-being than a good night's sleep? Well it all starts with what you're sleeping on. Not ready to buy a new mattress? There is one purchase that's relatively affordable and offers a big payoff. A new pillow is an easy investment you can make to upgrade your sleep. Because if you've been using simple, throwaway pillows from a big box store, you're missing out. There are better options. 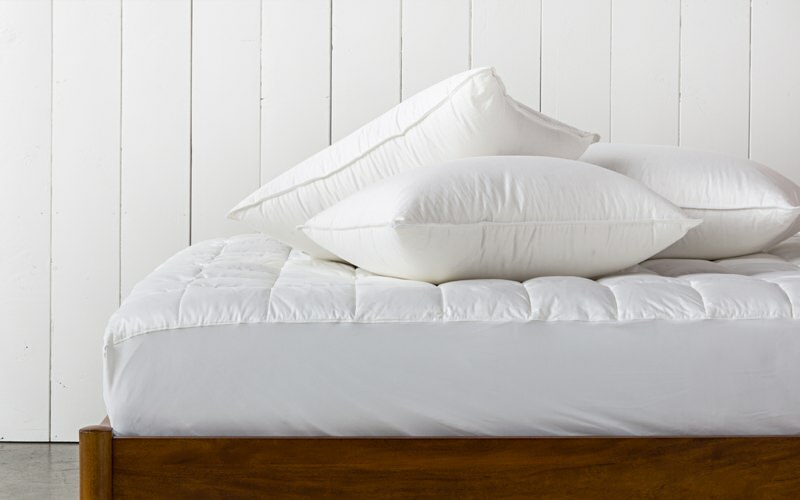 And while an old school down pillow is still one of the most popular, there are also a few fantastic alternative options you may want to try out. 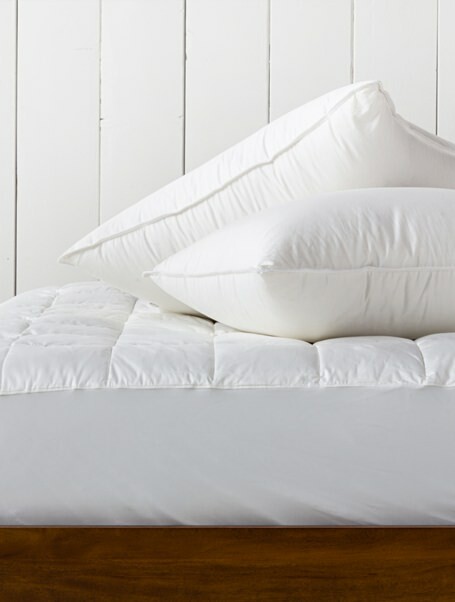 A classic goose down pillow still reigns supreme in terms of moldable comfort and a light, fluffy luxurious feel. 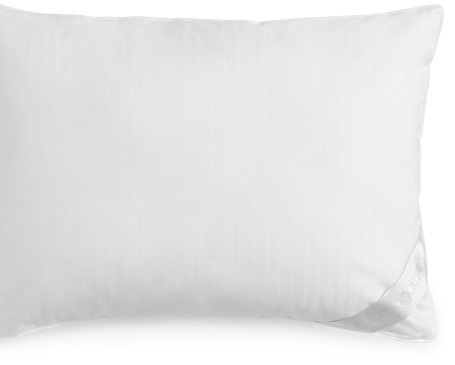 This relatively inexpensive pillow from Parachute is filled with top notch European white down and comes available in three densities (soft, medium or firm) to suit your personal sleeping preference. 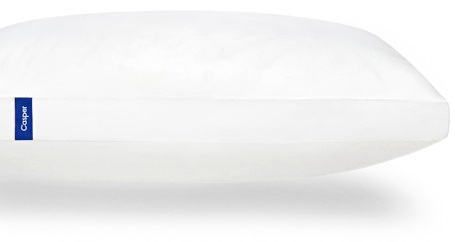 To get the right balance of squish and support, Casper invented a unique pillow-in-pillow design that suits nearly all types of sleepers. Low-friction fibers (each thinner than a human hair) surround an inner core stuffed with nearly a billion shorter fibers that make for springy, adaptive support for your head. And on the outside, a silky percale cotton cover keeps your face nice and cool. If you sleep on your stomach, you need a pillow with slightly less filling. These allow you to breathe comfortably and ensure your neck isn't strained. 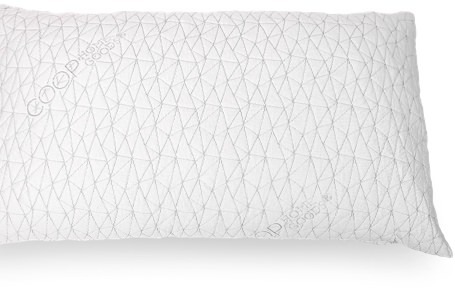 This cushy pillow from Bloomingdale's home line has an Egyptian cotton damask cover and is filled with just the right amount of Primaloft synthetic down. Memory-foam pillows are ideal for side sleepers, but most are too dense and tend to retain heat. This clever version is filled with a shredded, nontoxic memory foam that holds its loft while allowing air to circulate. A bamboo-derived stay-cool fabric cover is also hypoallergenic and dust mite resistant, which is ideal for allergy sufferers or germaphobes who want the ultimate comfort. If you're a multi-position sleeper, the best pillow for you might have softer and firmer sections. Buckwheat hull-filled pillows like this one from Hullo easily conform to your shape and hold their position around your head. Which makes them ideal for relieving neck pain, since they're both firm and adjustable. Plus they stay nice and cool. But like all buckwheat pillows, it makes a subtle rustling noise (like a beanbag) when you shift. 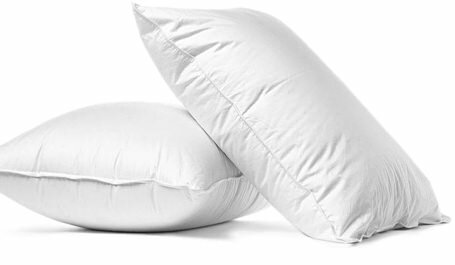 Dr. Robert Oexman, director of the Sleep to Live Institute, suggests getting a washable, zippered cover for your pillow to protect yourself and your pillow from the dirt, oil and other gunk that can attract dust mites and cause allergies and acne. The best tips and tricks for falling asleep fast and getting the most of your time in bed.